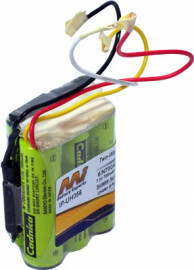 Description: Insert Battery Pack for Two Way Radio Application: Two Way Communications Two Way Radio Original Brand: Uniden Chemistry: Nickel Cadmium (NiCd) Voltage: 7.2V Nominal Capacity: 700mAh Two way Radio/Scanner battery insert for replacement of battery pack inside Uniden BP81 using existing battery case. Suitable for UH-056 & UH-057. Pack includes thermal cutout devices & all hookup wires from battery pack. Manufactured using premium quality Sanyo cells for extended service life.